« Day 91 in Beijing: The Bird’s Nest. 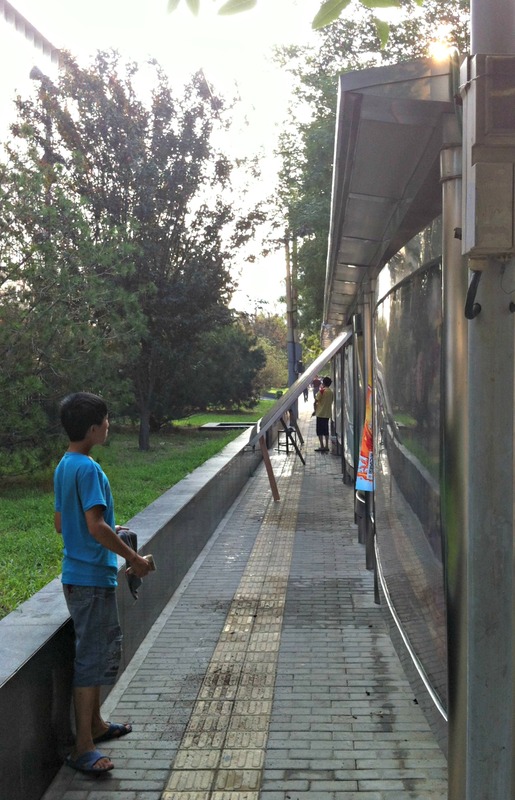 Day 92 in Beijing: Billboards, Pollution, and the Unseen. 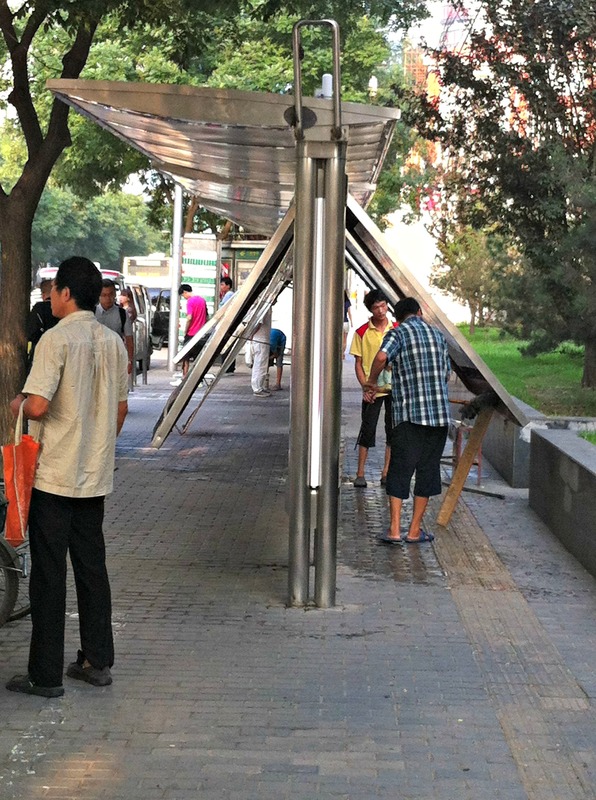 There are lots of billboards in Beijing. There is lots of pollution in Beijing. 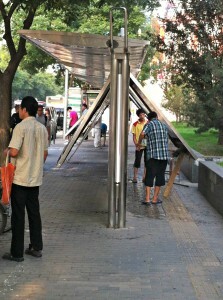 Therefore, there is a lot of need to clean the billboards in Beijing. I hadn’t really thought of this until I walked past the workmen doing their jobs a few mornings ago. One of the cleaners taking a break. The Plexiglas billboard covers propped up for cleaning. It all makes perfect sense that someone has to clean them but it made me think about all the jobs that are done without being noticed, thought about, or having attention given to them because of my being busy with my own job and life. The streetcleaners, the garbage collectors, the people who sort through the recyclable and non-recyclable refuse (this is an actual job since refuse is mostly thrown in one garbage bags at home and then sorted later), sign cleaners, water sweepers, and so many others that are forgotten. I want to give them a little time and respect to how hard they work and all they do to make life easier for all of us.